Santo Domingo: "The City of Firsts." The first street of the New World, the first cathedral from the Spanish settlers, the first hospital of the New World, and even the first university of the New World all call Santo Domingo home. It is an exceptional city that has come a long way over the last few centuries and has still managed to keep its charm. It's clear that this city is so rich in history, but what many travelers don't know is how modern this "city of firsts" has become. 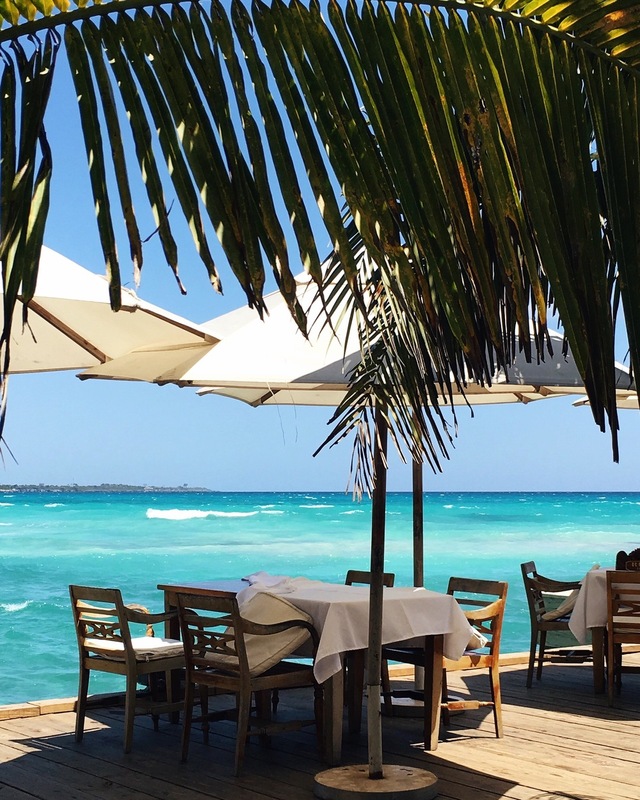 The best way to experience what Santo Domingo has to offer now is to live it like a local! 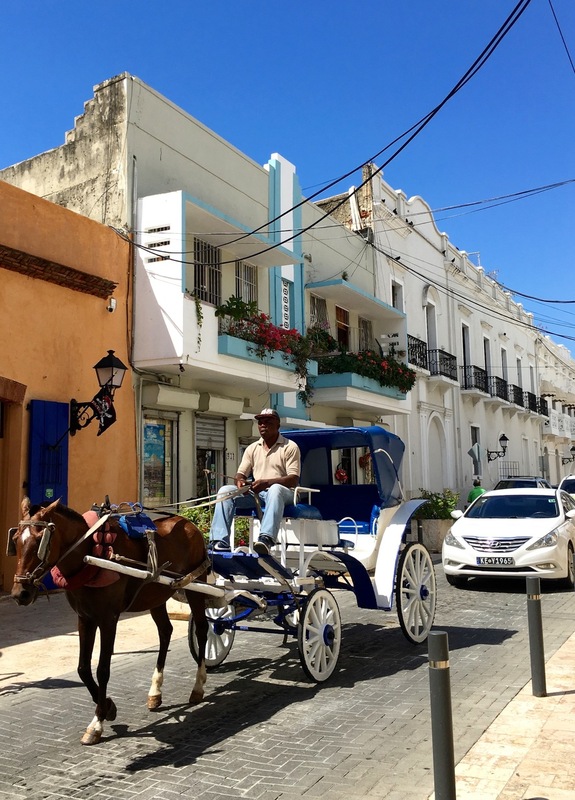 If you're heading to Santo Domingo for a visit, consider these 10 ways to experience this "culture of old and new" and immerse yourself like a local. 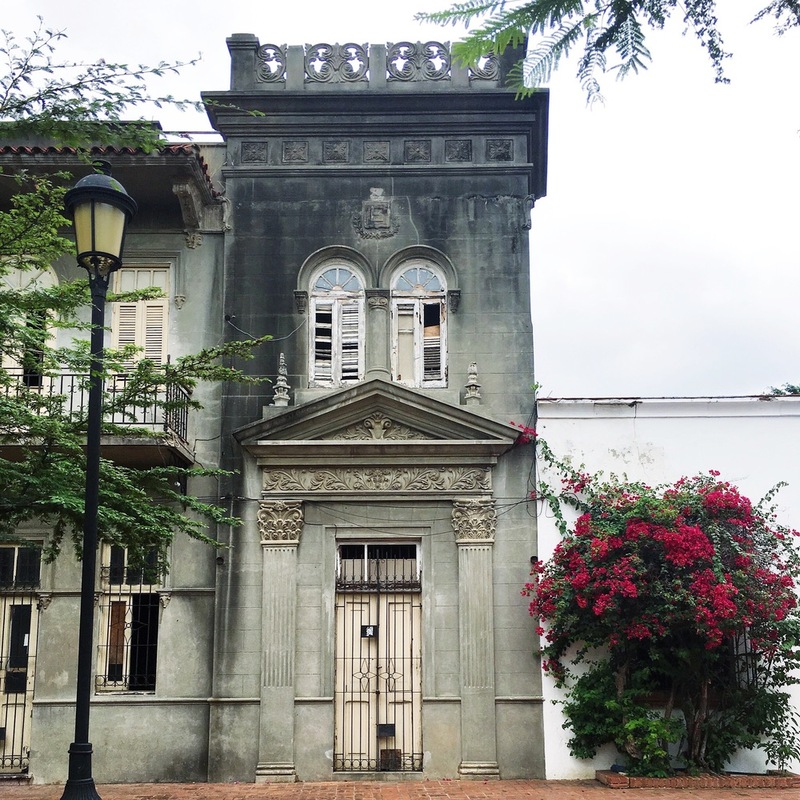 Walking through the Colonial City, also known as Zona Colonial (Colonial Zone), is like taking a step through time. In your mind, you know it's the present day, but everything around you says otherwise. 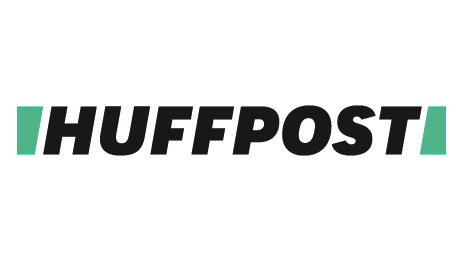 Old cobblestone streets, 16th-century architecture, passageways covered with bright, pink bougainvillea and other tropical plants, horse drawn carriages, 17th-century ruins... It's like you're stepping back into the times of Columbus or Cortés. 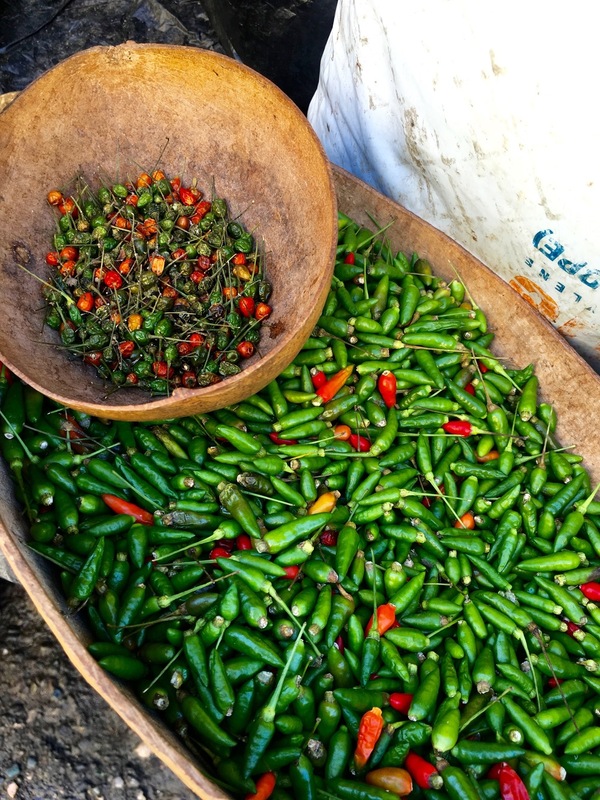 The best way to experience the Colonial City is to just walk around and explore. The streets of Zona Colonial are vibrant and lively filled with one colorful building after another. Stop in along the shops on Calle El Conde, people watch in the Parque Colon, or stroll down the New World's oldest street, Calle Las Damas, which dates back to the early 1500s! It's a truly magical area of the city that really makes you love and appreciate the infusion of old and new. Do you want a real, local shopping experience? 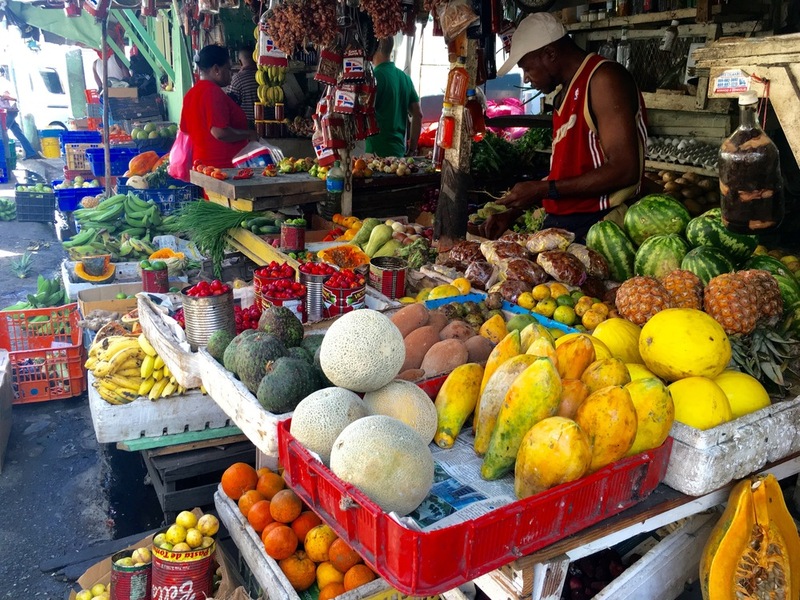 Head to Santo Domingo's largest market, Mercado Modelo, for an experience you won't forget. Now, understand that this isn't your typical shopping experience. This is a truly unique, Dominican experience. I'm not kidding when I say this place has everything. 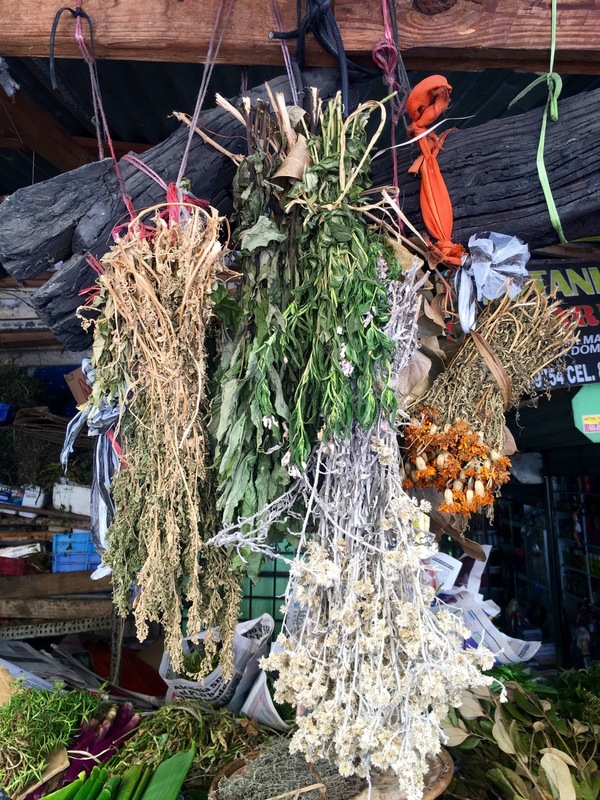 You can find aphrodisiac love potions, fresh produce, exotic flowers, native artwork, and a ton of other goods that you can only get from the D.R. It is absolutely worth stopping by for a bit. Snag some deals on incredible Dominican coffee, or try your luck at negotiating on some unique jewelry. 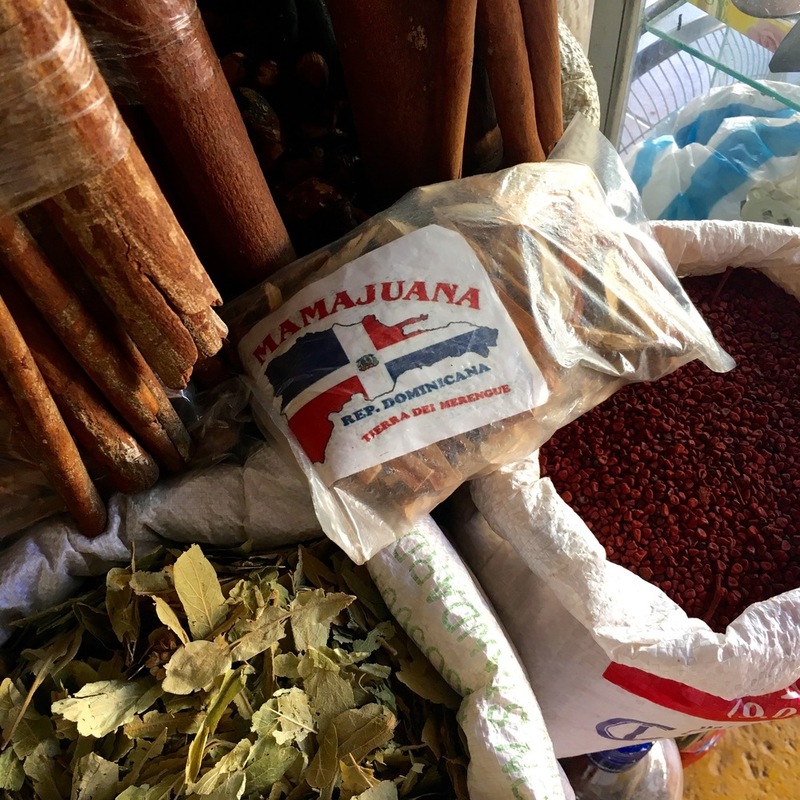 Speaking of aphrodisiac love potions... Have you ever heard of Mamajuana? 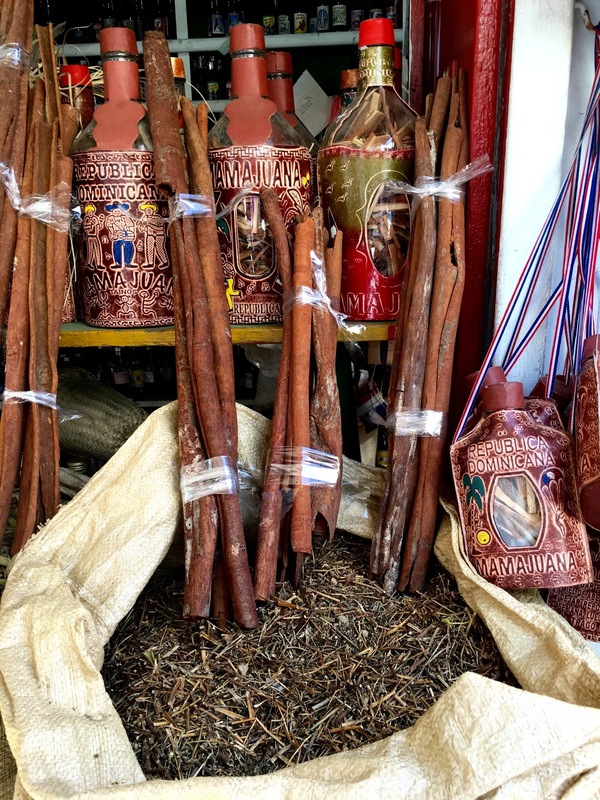 Mamajuana is a special Dominican concoction that is said to be a natural aphrodisiac and herbal healer! It's sold all over the island and usually consists of rum, red wine, and honey that is soaked in a bottle of tree bark, spices, and herbs. It is tasty and STRONG! 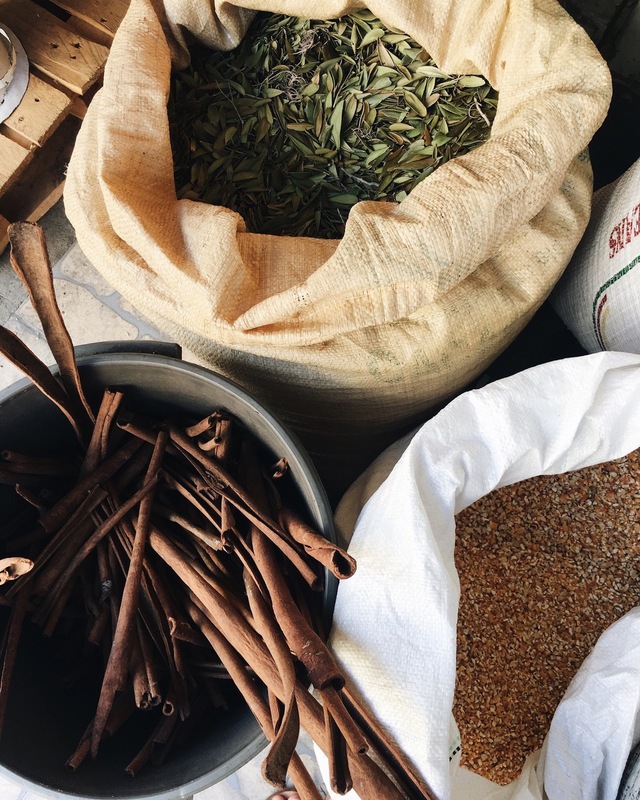 You can buy a bottle with all the ingredients already in it, or you can get the individual spice packs to make it yourself at home. You can find Mamajuana at Mercado Modelo or at various shops and stands around the island. Nothing gets you immersed into the local culture quite like cuisine. 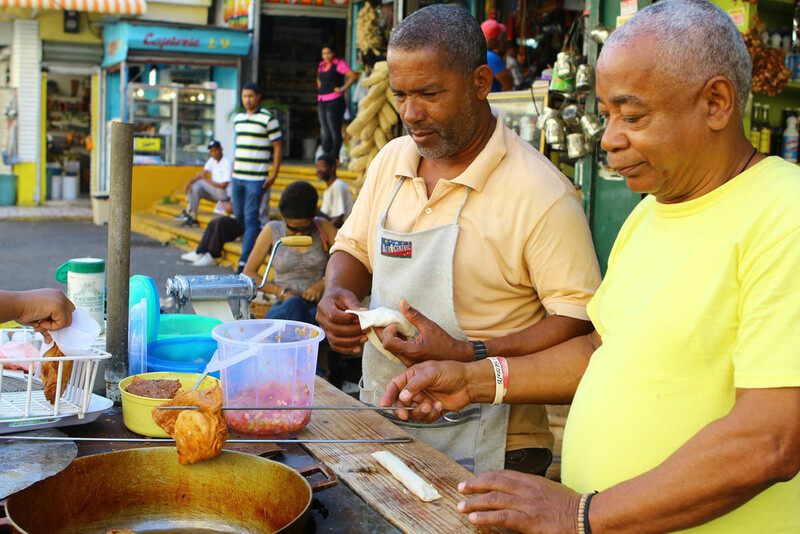 One of the best things about Santo Domingo right now is the rise of their culinary scene. Chefs from all over the world are coming to this city to showcase their expertise and skills, which is great news for locals and travelers alike. That being said, there's nothing quite like the comfort of good 'ol home cooking. 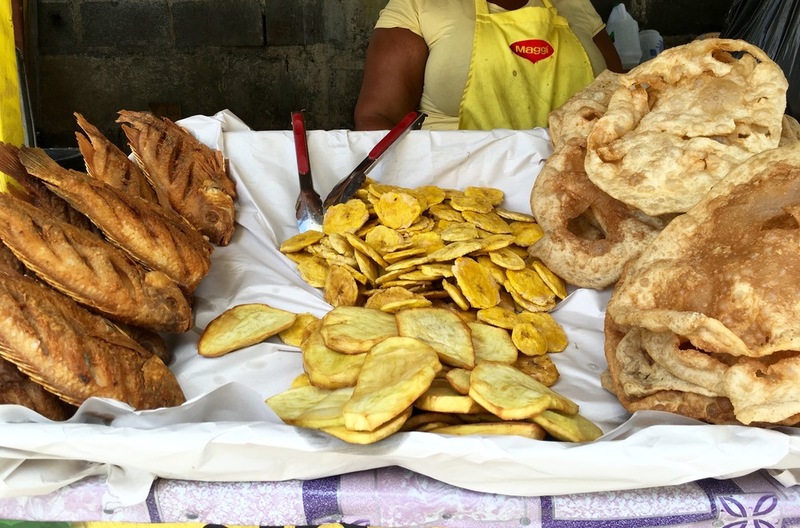 If you're visiting Santo Domingo, there are a few key dishes that you must try during your stay. Sancocho - A hearty stew mixed with multiple meats, vegetables, spices, and sometimes rice Incredibly tasty and ideal for family gatherings or special events! Move over Cuban Cigars! Dominican Cigars are coming out on top as some of the best quality cigars in the world right now. When you're wandering through the streets of the Colonial Zone, make sure you stop in at a local Cigar Shop just to get a look, or even buy a few to take home with you! When you walk into these small shops, you're immediately hit with the smell of the fresh tobacco, which almost feels nostalgic and comforting, as if it were from a different time. You'll see the craftsmanship and beautiful design of the boxes, the traditional Caribbean hats and shirts for sale, and even the unique wood shelving that is home to hundreds of different types of cigars. Bonus points if you can find a shop that has their cigar makers doing their thing right in the middle of the store! It's fascinating to stand around and watch this incredible craft right in front of your eyes. You haven't immersed yourself into Dominican (or any Latin) culture until you start dancing. Latin dancing is absolutely a key component to the Dominican culture! Merengue, salsa, bachata... you name it, they do it! The great thing is you don't even have to be good at it, as long as you try and have fun! If you really want to rub elbows with the locals and immerse yourself into the scene, head to the ruins at Monasterio de San Francisco every Sunday night from 6-10pm for a night of live entertainment, dancing, food, and fun. Join the crowds of people who come to listen to music (from bands like Grupo Bonye), eat and drink "picnic style" with loved ones, and dance the night away under the stars right in the heart of the Colonial City. You'll walk away from this event feeling like you just got invited to a "locals only" party. After dancing the night away--and maybe even throwing back some Presidente beers--you might be in the mood for some greasy, comfort food to get you going again. 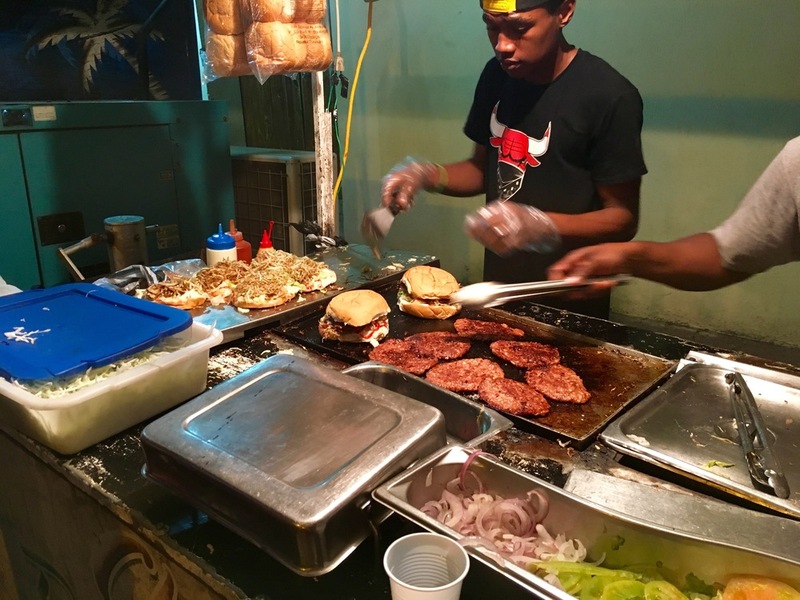 Head straight to Barra Payan to get your fix. This diner + sandwich shop dates back to the 1950s and has become a Dominican institution for locals and travelers alike. You really can't go wrong with any sandwich or shake on the menu, but the Payan Club with fries is a personal favorite. Everything is so delicious, and really affordable too! It's a great spot if you're looking to save money on food. 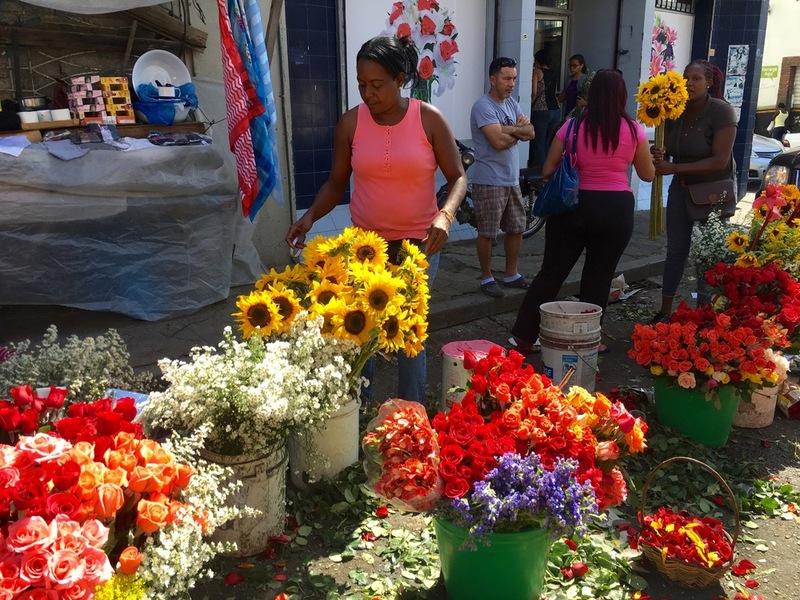 There are always different kinds of markets popping up all over Santo Domingo, but a great one to catch is the Antique Market that takes place at the plaza across the street from Hostal Nicolas de Ovando on Calle Las Damas. Local vendors gather in the plaza to display their most prized antiques to sell to customers. Even if you don't buy anything, it's wonderful to walk through, look at all of the unique items, and even learn some history about them. Even though Santo Domingo doesn't have immediate beach access like some other popular D.R. destinations, it doesn't stop the locals from finding the most beautiful beaches to head to on the weekends. One popular place to kick back in the sand for a few hours during the day is Boca Chica, which is about 45-minutes to 1-hour driving from Santo Domingo. Take a walk along the beach, have lunch at Boca Marina, or set up a snorkeling or diving excursion for the day. Either way, you can't go wrong when you're sitting in front of the crystal clear waters of the Caribbean. If you go to Santo Domingo and come back empty handed, you're doing something wrong. If there's one unique place you must stop in to shop, eat, and drink, it's La Alpargateria. 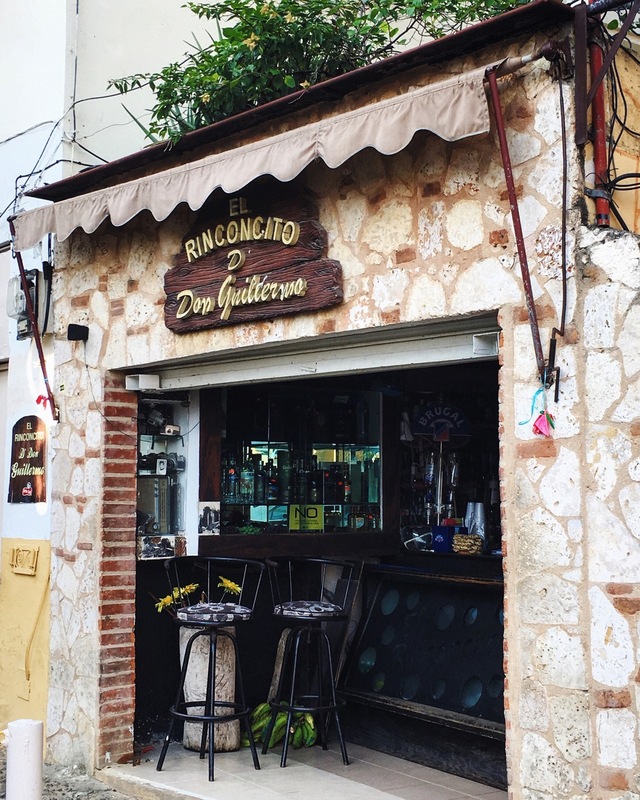 This amazing boutique is one-part shoe store, one-part bar/coffee shop, and one-part tapas bar. 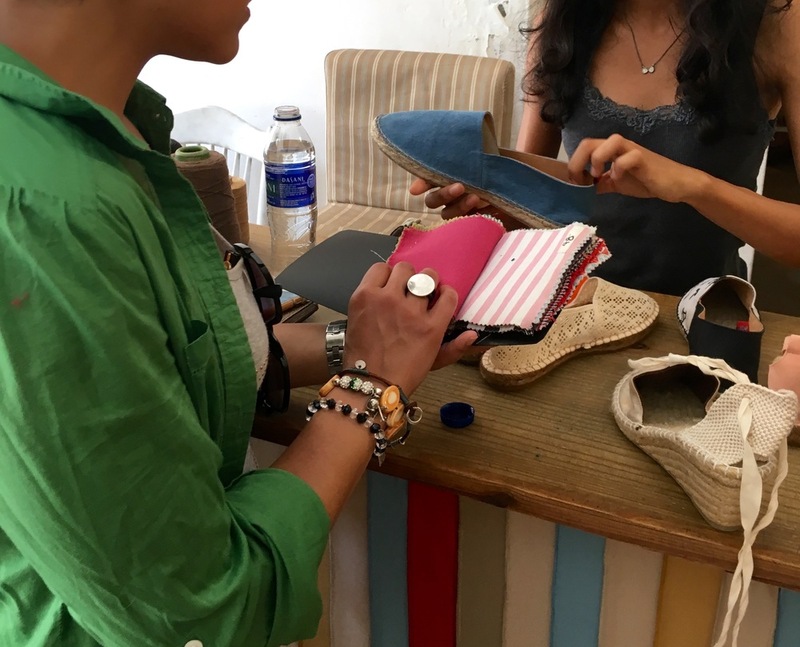 You can browse the gorgeous selection of handmade espadrilles for men and women and then head to the back lounge to grab a coffee or snack on some tapas. It's a very chic and cozy environment right in the heart of the city. Plus, the fabulous, handmade shoes, which they make in house, are a total conversation starter! Designs and sizes are limited, so have some patience when shopping around for your favorite ones. 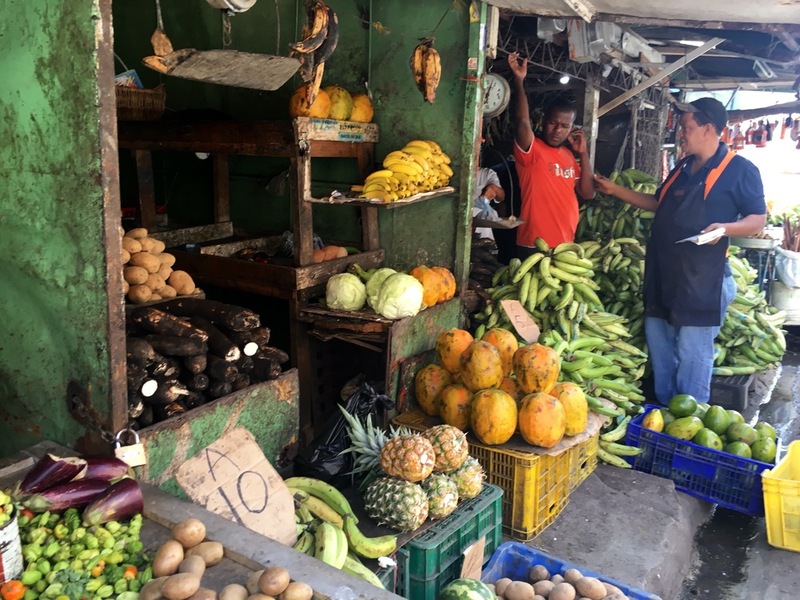 These suggestions are just scratching the surface on what you can do to immerse yourself like a local in Santo Domingo. The best way to have a truly unique experience when traveling is to step outside of your comfort zone and have fun exploring! 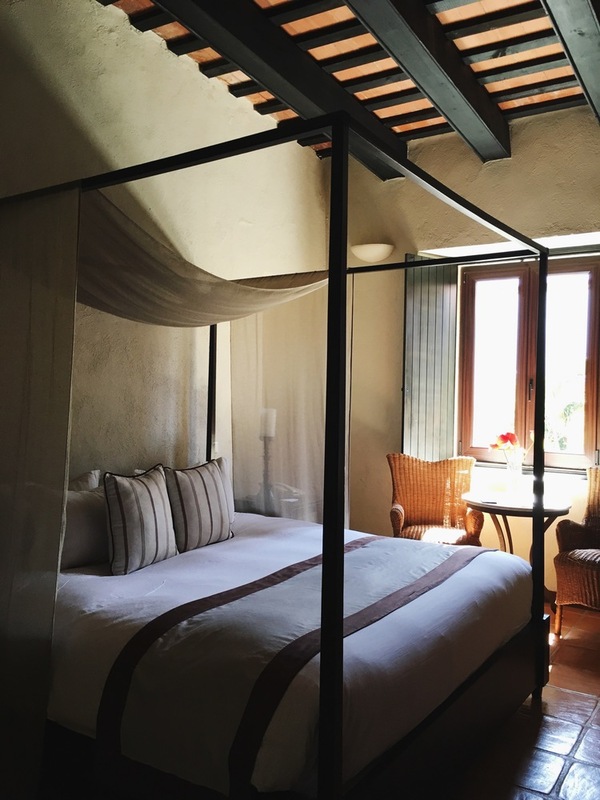 Have you ever been to Santo Domingo? 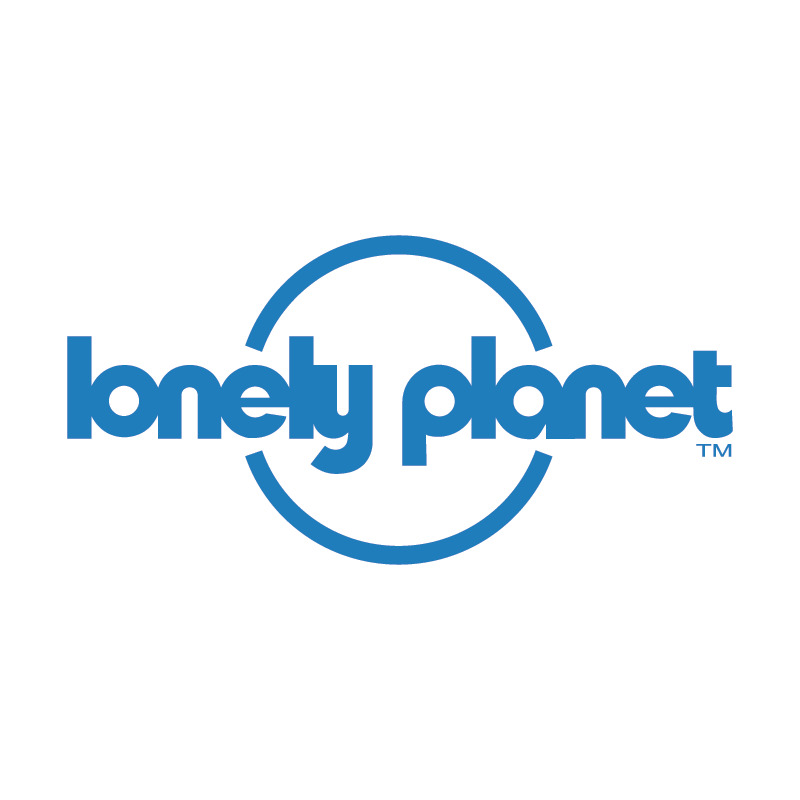 What are your favorite things to do or local spots to hang out? Comment below with more suggestions!